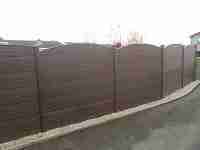 Maintenance free fencing. 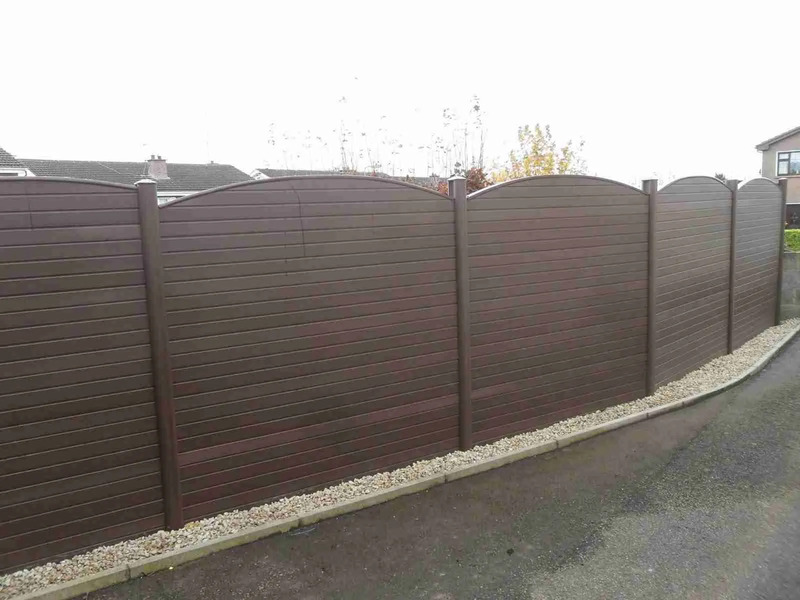 Strong and durable made from recycled PVC fencing produced to replicate a natural timber finish. Can be fitted to existing concrete H post systems of any height where old or rotten timber panels need to be replaced. 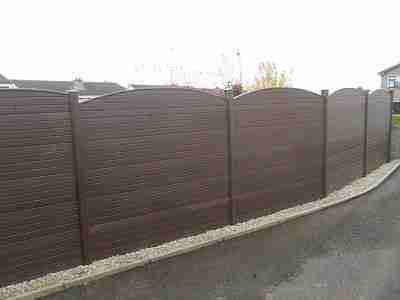 Or fitted with steel reinforced pvc posts. 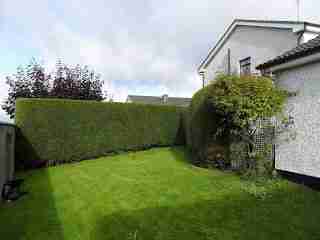 Never paint again or in this case cut that leylandii hedge again. 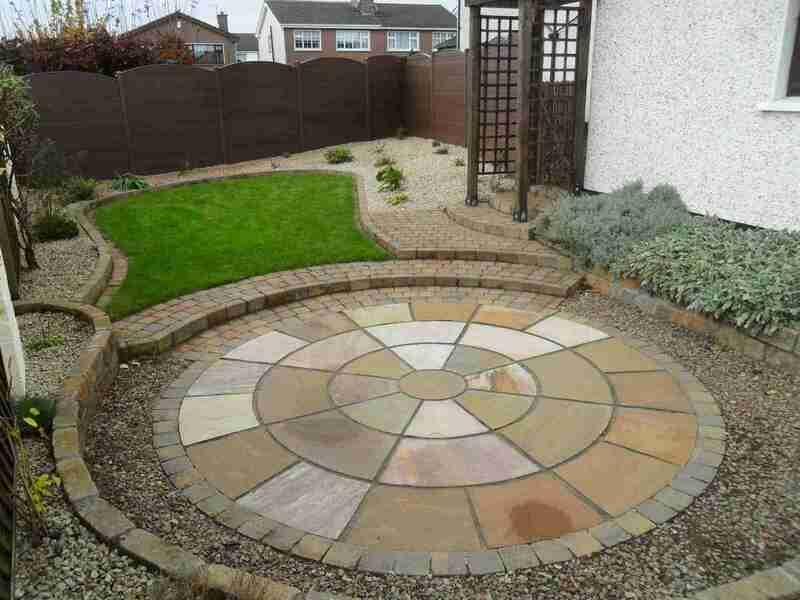 This garden in Drogheda co. Louth had a a Leylandii hedge which had become too labour intensive for its owners. Leylandii hedges can grow up to 6 ft a year but do not take to hard pruning so they tend to increase in height and width each year.Its owners had employed some so called ‘gardeners’ too cut it back but they in turn cut it too hard back and it was beginning to turn brown and unsightly in many places which doesn’t regrow. 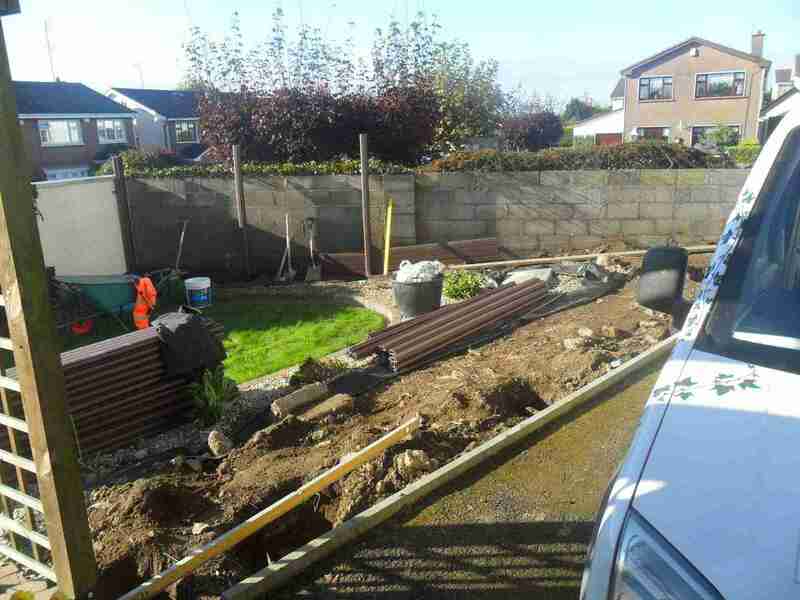 They decided to have it removed but were concerned about privacy and having a timber fence that would need regular treatment to keep its colour and to preserve it over time. Dual sided wood panel effect. We decided to replace it with a maintenance free recycled reinforced pvc post and wood panel effect fencing. 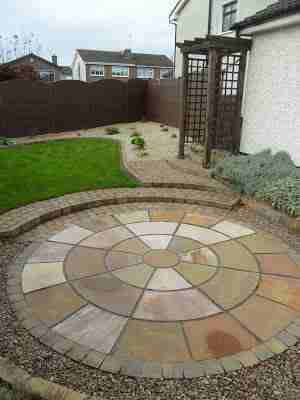 It also comes in various colours and finishes. Though a little more expensive than timber panels over its lifetime the costs are quickly recouped through its lack of maintenance!. Sandstone patio complemented by the hues of the walnut coloured fencing.